Josh Selke believes in being intentional behind everything they do, especially when it comes to their passion: centering transgender and non-binary folk. “I know that we need to be intentional and be pushing these things but at the same time, what is the actual extended impact that is going to happen,” Selke said. As Vice President of Community Standards, they meet with staff members and administrators to ensure DePauw is supporting transgender and non-binary folk. 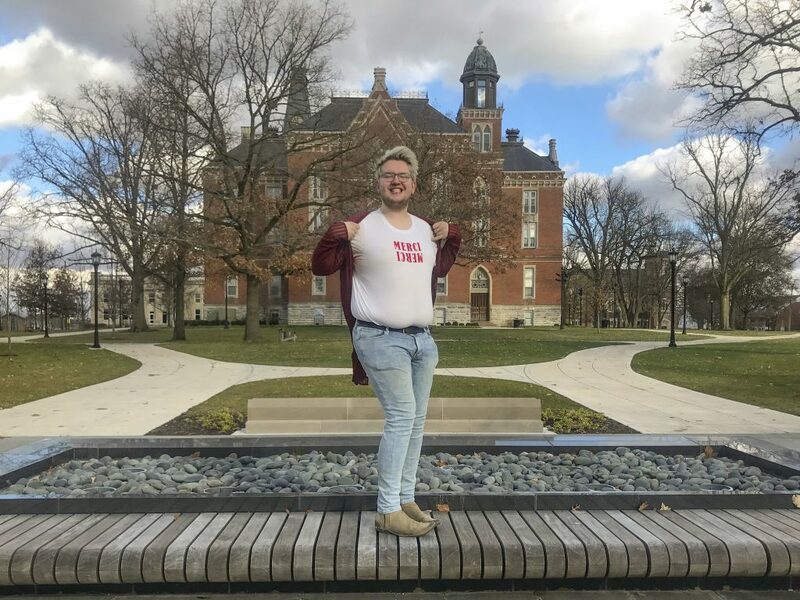 Selke, now a senior, has pushed for more inclusion and support of transgender and non-binary folk; whether it was creating a process for students to change their name and/or gender in University records or making a list of the eight ways DePauw needs to improve so it supports transgender and non-binary students. As a way to decompress, Selke does service outside of the University at the Greencastle Middle School, teaching seventh graders. Selke has been doing this for the last four years and now leads the class and helps create the lesson plans. “Teaching seventh grade is something that is such a wonderful feeling to just go in front of a class, have them interact and laugh and enjoy the space,” they said. After DePauw, Selke wants to build the community of wherever they are and become a professor in order to foster the hunger for learning they felt after high school. As a Religious Studies and Women’s, Gender and Sexuality Studies double major, Selke has focused on the interdisciplinary and intersectional aspects of their academics, and wants to carry that into their teaching.